Our water treatment and commercial water treatment system technology reduces scale build-up, salinity, iron and corrosion and enhances water quality across a range of applications. 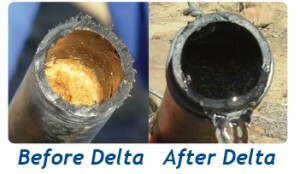 The benefits of treating your water with the DELTA technology are many – reduced maintenance which saves you both time and money, improved water quality and improved efficiency of water-reliant systems. 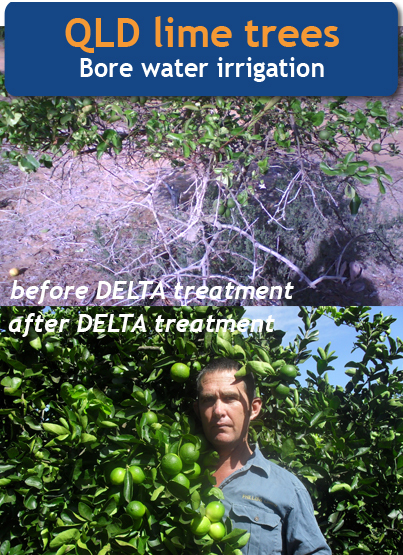 The DELTA technology prevents blocking in irrigation, industrial and commercial systems such as hot water units, solar systems, commercial and domestic coffee machines, large-scale irrigators, hydroponics, garden and commercial dripper systems…the list is endless for how DELTA’s scale reduction system Australia can create higher performance. Whether it be at home, in the paddock, in the garden, in high-rise commercial buildings, in wineries and market gardens, orchards, sports ovals or mines – DELTA water treatment has the solution. Read more about the water problems we treat in our Salinity brochure, Calcium and Scale Build Up brochure and Stock Trough brochure. Contact our Water Advisory Service to discover more about your specific water problem and how the DELTA water treatment technology can solve it. Our products are solving water problems in so many sectors in Australia and overseas including government, industrial, commercial, agricultural and domestic …you can download our Products brochure or visit our Products section on this website. Phone us today so we can solve your water problems!